Over the past month I've been rebatching my Rosemary Soap. When I finished I had 47 bars that I was able to give to the ICA Food Shelf in Minnetonka. 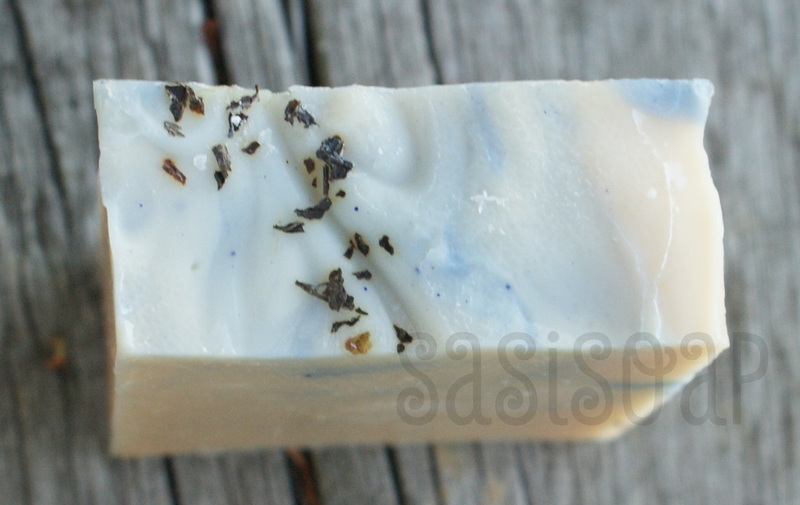 I hope the patrons of the food shelf are able to enjoy the beautiful smelling rosemary soap that they will be able to pick up when they visit the food shelf. ICA is a great organization serving Minnetonka and Hopkins. I'm privileged to be able to help out the ICA foodshelf. Bath bombs are now available on our web page. You can find two sizes of bath bombs - a 6 oz jar of small bath bombs and a 9 oz jar of medium size bath bombs. Bath bombs can be purchased with the following essential oils: Lavender, Lavender Orange and Tea Tree Mint. These bath bombs do not have any coloring therefore you won't have a ring around your tub or any sediment when the tub drains. I love taking a bath with these bath bombs, I hope you will as well. It was another fun day for Sasi Soap and Keller Williams. Excelsior Minnesota had a 5K as part of Apple Days and the Lake Minnetonka Running Series. Jack Dhamer and Wanda Wint of Keller Williams were at the finish line giving samples of Sasi's Lip Balm and soap to the finishers. If you are a runner with dry, cracked heels and are looking for a good soap to keep your feet feeling fresh and clean. I think you should try our tea tree mint soap. It is made with goats milk and shea butter so as you your scrub your feet you'll be nourishing them with the goats milk and the fantastic healing properties of Shea Butter. if you happen to suffer from athlete's foot, you'll love the fact that Tea Tree oil is also known to have anti-athlete's foot properties. We think the Lake Minnetonka Running Series was a great series this year and we can't wait to see you on March 14, 2015 at the Jake O'Connors Luck of the Lake Race. Last week I was in Chicago working, my hotel happened to be next to a Lush store so I decided it was time I did some market research. I purchased a lotion bar, a tin for the lotion bar, bath melt and a bath bomb. Prior to the market research, I had decided to spend the month of September perfecting my bath bombs. So the bath bomb was the first thing I tested. I was looking to compare the following items: water color, fizz length, residue left in the tub and overall feeling of the tub after the bath bomb had finished it's fizzing. The bomb I purchased was light yellow and light brown so I wasn't expecting much change to the bath water color, I did notice a slight change to water color but nothing disturbing - it was about the same as the bath bombs I've been making this month. The Lush bath bomb was much larger than the ones I make, so it fizzed for the time I had the water running. I make smaller bath bombs, so they don't fizz as long but I think it is more enjoyable to have a couple of bombs and to stretch out the fizz time. So I think my Fizz time for the size of my bomb is just about perfect, so if I'm using a Lush bath bomb as my comparison for my bath bombs, I think I've got that part of the recipe down. Lush completely failed the tub residue test, when I got out of the tub in Chicago, it looked like I had just rinsed off after coming in from the beach. I don't have any residue right now, but I'm still working on additives. I know as I work through the details of my bath bombs I need to make sure there is no residue as it is not fun to have residue in your tub after a bath. The overall bath experience was not remarkable with the Lush bath bomb, the aroma was a little to perfumy for my taste and the rest of the experience was ok - nothing to write home about. I'm going to continue to work on my bombs so that the experience is positively breathtaking for my clients. I think I'm on target to have one of the best bath bomb's on the market for October 1st. If you are interested in testing some for my bath bombs (I can only take so many baths) give me a call or send me an email and I'll put some in the mail for you. This weekend Sasi Soap teamed up with Jack Dhamer at Keller Williams Real Estate to help Wayzata celebrate James J Hill Days. The Coaster Car Derby is held in Wayzata as part of Jame J Hill Days, and to help celebrate the racing, We supplied riders and their parents with ice cream cones, soap samples, all natural lip balm and a chance to win a basket of goodies from Sasi Soap. It was a great event with the children driving their carts down the hill as fast as they could while everyone else tried to eat their ice cream before it melted. Following the races Jack and his Keller WIlliams group moved to Lake Street and continued the celebration. If you received any of the lip balm, let me know what you think. I'm considering adding it to my product line, but would love any feedback you have prior to the launch. This was a new recipe for me, there was more beeswax than my traditional recipe. I was hoping to make it a little firmer. I'm also interested in hearing what you thought of the soap. All feedback is welcome. Thanks for coming to the Coaster Cart Derby and James J Hill Days, it was a beautiful weekend in Wayzata, and Sasi Soaps was happy to help Jack Dhamer and Wayzata celebrate. To celebrate James J Hill Days, we'll be giving you a free bar (scent to be determined by Sasi Soap) of soap for every two you purchase for the month of September. This is in addition to 10 percent of sales going to the Domestic Abuse Project (DAP). A great time to purchase. Labor Day Weekend is the unofficial end to summer. In Minnesota, it is always the last weekend before school starts and we like to celebrate it with two of our favorite outdoor meals: Breakfast by the Fire and a Cream Can Dinner. This year we started the summer with the Cream Can dinner and our ending it the same way. Here's a picture of our cream can cooking. It is always fun to entertain using different methods of cooking. I promise my next blogs will be soap related. If you are interested in making a cream can dinner feel free to contact me for instructions - here's the best recipe we've used. 24 polish sausage - it is very important to use good quality from a butcher or high end grocery store. Seal the top onto the cream can and put over the fire. Cook for 25 minutes once the cream can starts steaming. Remove from the fire and let it rest for 15 - 20 minutes once it stops steaming and take the lid off. It is very important to let it rest - if you try to take the lid off too soon, it could explode. Pour into an aluminum tub to serve. It works great to use the beer trays as dinner plates. Labor Day 2014 was a very sad day in our neighborhood. 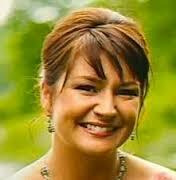 Kara was murdered as a result of domestic abuse. 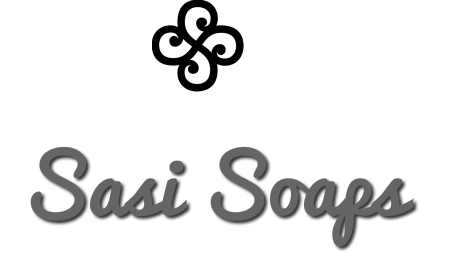 Sasi Soaps is honoring Kara by donating 10 percent of sales to the Domestic Abuse Project (DAP) in Minnesota for the months of August, September and October. Saturday, August 23rd will be the First Annual Chris and Kara Memorial Golf Outing benefiting the Domestic Abuse Program. Please make any donation you can to support DAP in honor of Chris and Kara. This morning I was picking strawberries and decided I would blog about my strawberries today. 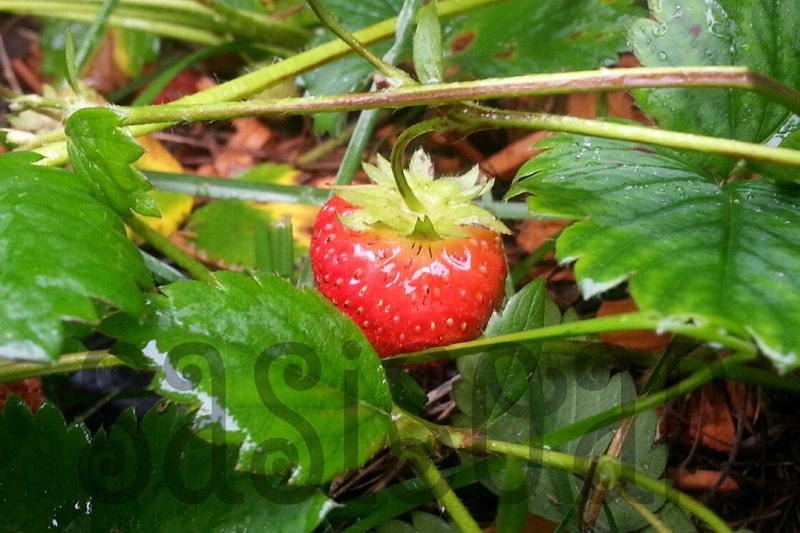 However, I couldn't figure out how to tie the blog into Sasi Soap, but I decided to take a couple pictures of the strawberry plants and eventually I'd figure out the topic. The minute I stepped outside to take a picture of the plants, I knew what I had to blog about - Sasi Bug Rub. This morning before I started picking I covered my legs and face with the lotion bug rub and started picking strawberries. I had a few annoying mosquitoes buzz my head, but nothing that kept me from completing the task. It was a completely different story when I went to take a picture of the plants. I'd cleaned up so I no longer had any bug rub on me and the minute I approached the strawberry patch I was attacked by mosquitoes. I couldn't believe the difference in the strawberry patch with Sasi Bug Rub on versus without Sasi Bug Rub. If I hadn't had the bug rub on, I would have given up on picking the strawberries, and we wouldn't have enough strawberries for strawberry shortcake and strawberry syrup. today Thank goodness for Sasi Bug Rub. When geese hang out at a beach their feces become a breading ground for chiggers. When someone goes swimming in chigger infested water, they end up with really itchy welts all over their body, especially in areas where their swim suit was on their body. Last summer we tried everything to stop the itching - Cortisone, Antihistamines, Calamine, Nail Polish and Tea Tree Oil. I'm not one of those people that really believes essential oil has healing powers, so I was surprised when my sons quit using everything except the tea tree oil. In this case, they made me a believer of the healing power of tea tree oil. Tea Tree oil is believed to help with acne and toenail fungus. It is also know to work as a topical antiseptic. The science doesn't completely support all of the claims of tea tree oil; however it doesn't prove it wrong either. Even if it doesn't really cure my athlete's foot, I love my tea tree mint soap. I also love the fact that I'm bathing with something that smells good and might help with my feet, and my feet need lots of help. If you are open to trying a great smelling soap that might make your feet prettier try some of the Sasi Tea Tree Mint soap, and let me know if it helps your feet.